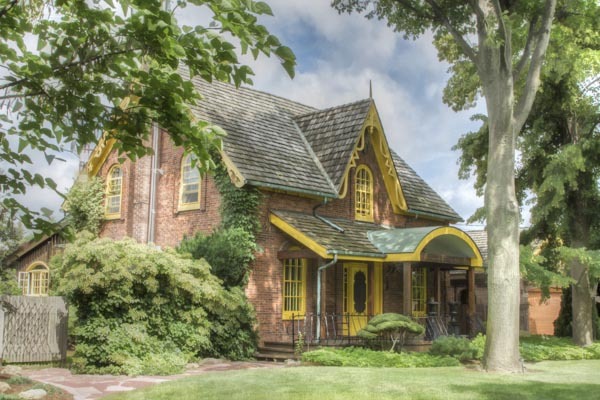 It was a privilege to photograph the gardens on the St. Catharines Garden Tour. What a great horticultural society - many members actively involved in gardens and in their community. I had a surprise as a result of this tour. My brother's Lilycrest Gardens hybridizing field is on Fifth Street, in St. Catharines Ontario. It is in the western part of the city and near the QEW. One of the gardens on the tour is located on the same street - just south of his field. It's a house I've admired for its yellow Victorian gingerbread trim. This year I was able to see behind the hedges and experience a large 17 acre garden with historical buildings and botanical plantings in a traditional and elegant design. 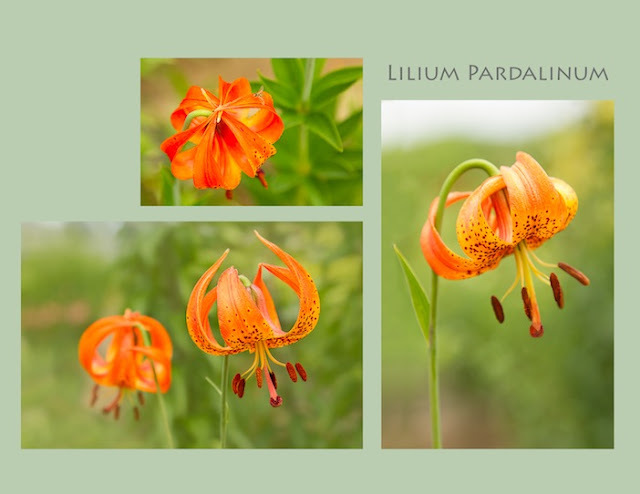 First, a quick peek at what was in the Lilycrest Gardens field a little more than a week ago - it was the delicate and beautiful Lilium Pardalinum. And just down the street of this rural road with nursery growing fields, is the beautiful Squirrel House.